Preheat oven to 350 degrees. Soak lentils in water, then drain and rinse. In a saucepan, place lentils, rice, carrots, celery, mushrooms and vegetable stock, and bring to a boil. Cover and simmer for 30 minutes until water is absorbed. Pierce pumpkins and bake for 20 minutes. Cut the lid from each pumpkin and scoop out seeds. Fill them with the lentil mixture, then bake for another 20 minutes or until lightly browned. 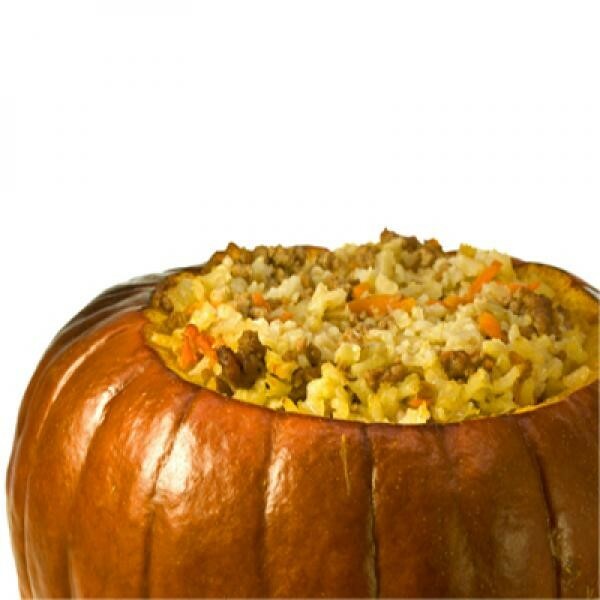 You can serve this side dish in the pumpkins or cut them in half to enjoy with company. Sometimes chefs will add some ground turkey or beef to the stuffing and make it a full compliment of a meal and not just a side dish.